The Hales in Forrestfield will be home to more than 1100 residents. THE upcoming Forrestfield-Airport Link is set to save as much as $60m in traffic costs, according to a report from Infrastructure Australia. Due for completion in 2020, the rail link will span 8.5km from the Midland line at Bayswater – including 8km of tunnel and three new stations at Belmont, Airport Central and Forrestfield. The report found the link will reduce car journeys from the airport and along the eastern corridor. It also projected that 22,000 jobs and 22,500 residents would be attracted by the Belmont and Forrestfield station precincts. Satterley chief executive Nigel Satterley said the rail investment helped him see the potential in the area to make a $30 million acquisition of the old Western Power site in Forrestfield. Now known as The Hales, the first Stage 1A release will comprise of lots ranging from 357sq m to 531sq m – starting from $268,000. The Hales is a leafy estate nestled in the heart of Forrestfield. Located 15km east of the Perth CBD within the Shire of Kalamunda, this development benefits from its proximity to employment centres, community amenities, public transport and major road infrastructure. Mr Satterley said people could now get a first glimpse of what was envisioned for the estate. “It was important to us to design and plan the estate around the natural features of the site,” he said. 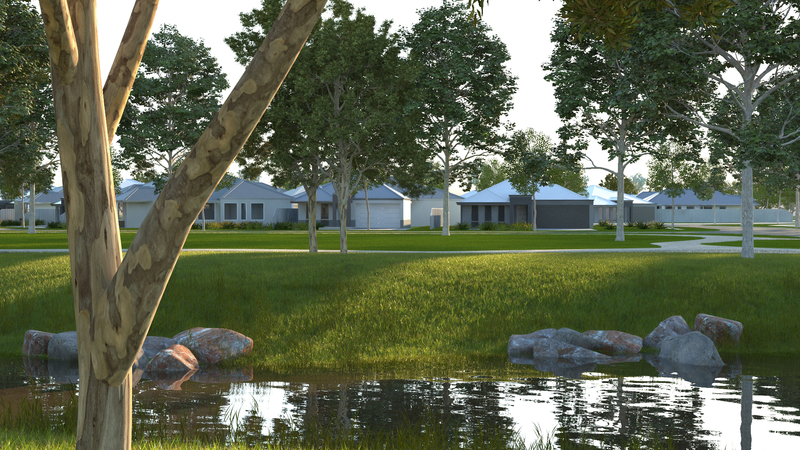 “The estate is built around existing native Marri and Jarrah trees and Crumpet Creek, and all the houses will be centred around a large strip of beautiful parkland. Once complete, The Hales will be home to more than 1100 residents providing a mix of single residential lots, terrace housing and group dwellings, with home sites ranging between 150sq m and 540sq m.
“It gives people a chance to build their dream home and be located only 15km from the city,” Mr Satterley said.